Microwave ovens are quite possibly one of the best inventions ever made – being able to cook food in just a few minutes?! Absolute genius! But have you ever looked at a microwave and thought ‘how the heck does that work?’ Well, here’s everything you need to know. 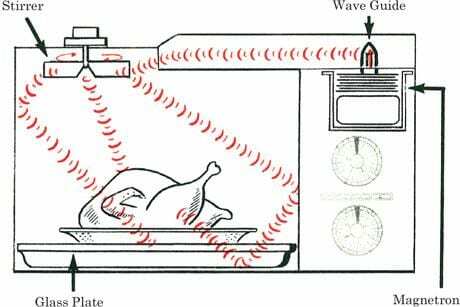 The microwave oven was named after its main source of energy: microwaves – which are part of the Electromagnetic Spectrum (along with the likes of radio waves, UV rays, X-rays and gamma rays. Remember all that stuff you learned at school?) 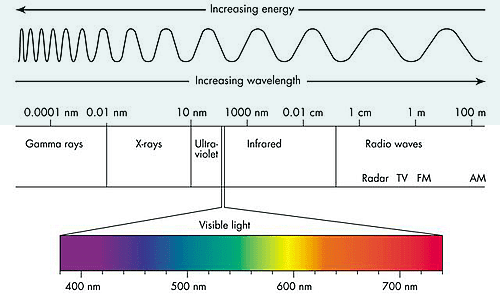 The Electromagnetic Spectrum consists of a group of electromagnetic waves that all vibrate at different frequencies. The higher the frequency, the more damage it can do to humans and objects – so radio waves are the lowest frequency, and are all around us in television, cell phone and mobile signals. The highest frequency, gamma radiation, is used in very controlled environments to kill cancer cells, as it does irreparable damage to the body. Microwaves are the second least harmful wave after radio waves. Microwaves can be found between infra-red waves and radio waves on the electromagnetic spectrum. When microwaves were first discovered, they were used within radar systems – before their other use was discovered by accident. 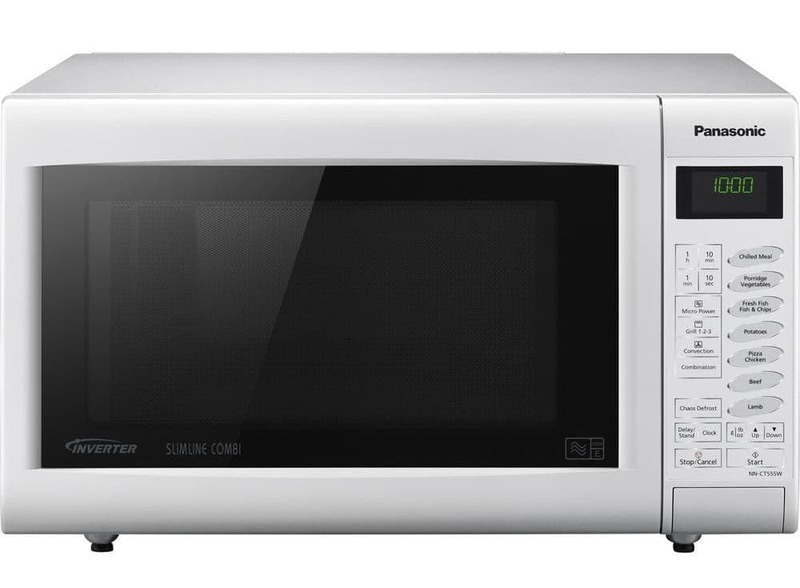 The fact that microwaves can heat food was accidentally found out in 1945 by an engineer. He found that when he stood by a device which produces these microwaves (called a magnetron) a candy bar inside his pocket began to melt. He then realized that it was the magnetron caused this change, and began to experiment with other foods. We all know that humans are made up of 80% water – well, this is also very similar to foods. 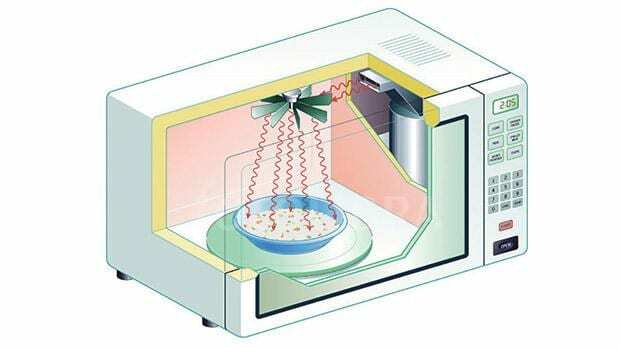 Items of food are largely made up of water molecules, and the presence of microwaves excites these molecules to the point where they violently vibrate. As these molecules begin to vibrate and move, they crash against each other and rub together to create heat energy. This heat is what cooks the food. Because a conventional oven uses heat as the main energy source, it takes longer for the molecules to vibrate, meaning the food takes longer to cook. In a microwave, however, the molecules are forced to vibrate and create as much heat as possible in a short space of time, meaning food cooks quicker. How do these microwaves stay inside the microwave oven? 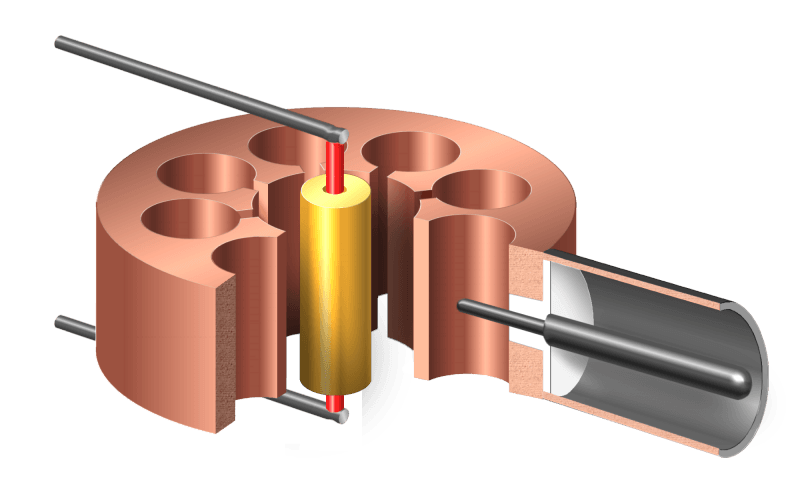 All electromagnetic waves have a different frequency, meaning they are different sizes, and they can just pass through certain materials without harming them or cooking them. If you notice, you can cook your food on plastic, ceramics and glass in your microwave oven and they won’t get too hot. This is because these waves simply pass through these, but not the food. However, metals reflect microwaves and would cause intense heat if they were put in the microwave oven – and would quickly start a fire! Since the discovery of the magnetron in cooking food, every single microwave oven in existence comes with it’s own magnetron in it. This magnetron ensures that the electrons are fired off in every direction in the microwave oven so the food cooks evenly.